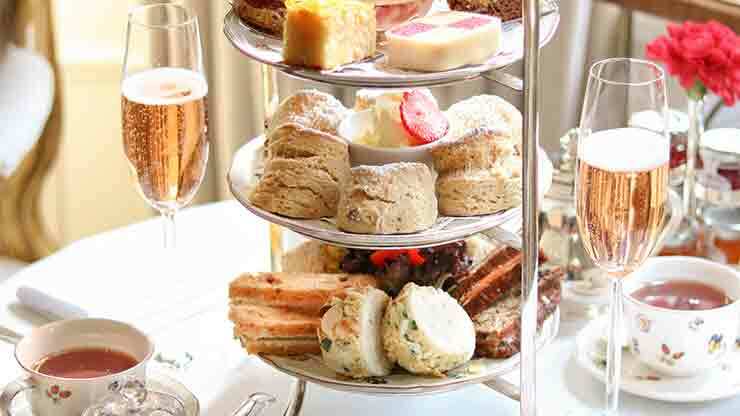 It’s hard to imagine anything more tempting and indulgent than Afternoon Tea with all the traditional treats – but a glass of Champagne really puts the icing on the cake! A splendid idea that makes the perfect gift for family, friends or the one you love. 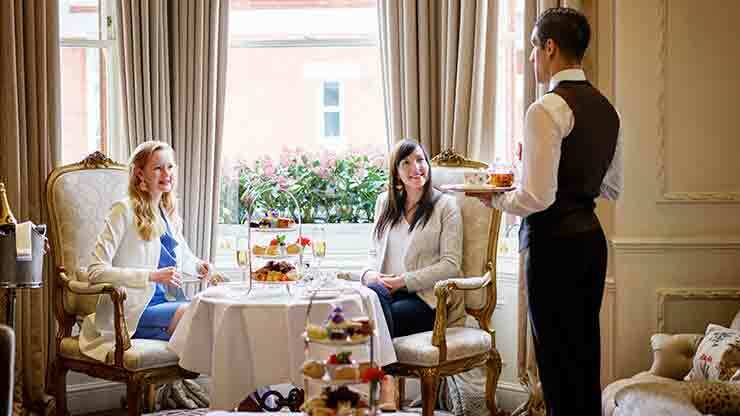 Enjoy one of the best Traditional Afternoon Teas in London, including a selection of mouth-watering sandwiches, freshly baked scones with thick Devonshire clotted cream, a choice of fruit preserves, delicious pastries, as well as freshly brewed teas, coffees and a glass of Champagne each. 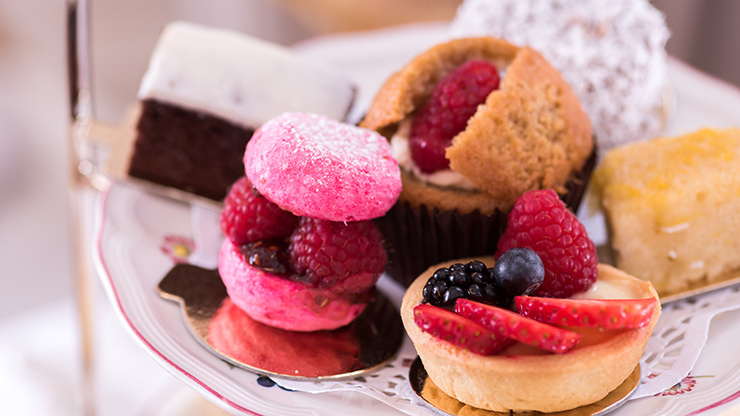 We serve one of the very best Afternoon Teas in London – perfect for sharing with a fellow fan of this classic British repast or as an imaginative gift for a special couple. 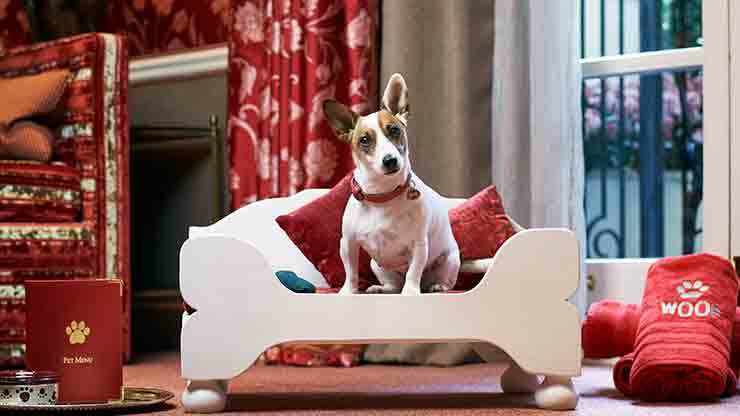 Experience a wonderful Doggy Afternoon Tea with your four-legged friends. Spoil a loved one with freshly cut sandwiches including grilled vegetables on granary baguette, guacamole and rocket on white bread, chickpea coronation on granary bread, cucumber on brown bread and tomato and olive tapenade on sun-dried tomato bread. Freshly home baked vegan plain and fruit scones served with a selection of preserves. Red Carnation Hotels will appear on your credit card statement.